Celebrate 20 years of Cowboy Bebop by joining the crew of the Bebop and hunting criminals with your crew mates. 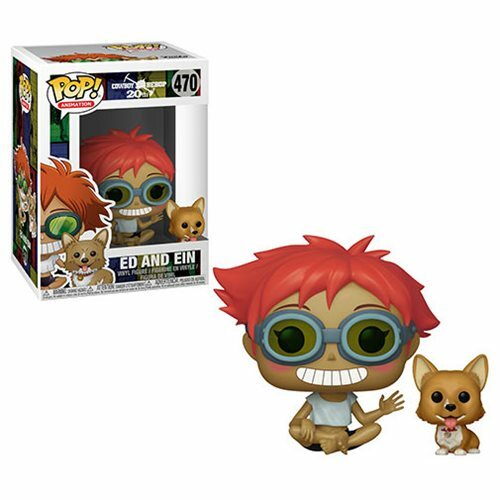 This Cowboy BeBop Edward and Ein Pop! Vinyl Figure and Buddy #470 comes packaged in a window display box. Edward comes with an adorable Pop! Buddy mini-figure of Ein! Ages 3 and up.